For face2face Second edition, visit www.cambridge.org/elt/face2face. Based on the communicative approach, face2face prepares learners for life in English. Vocabulary and grammar are of equal importance and there is a strong focus on listening and speaking for social situations. Students are given numerous opportunities to practise new language through a variety of communicative activities.face2face is fully compatible with the CEF and gives students regular opportunities to evaluate their progress. Mapping is available online, as well as in the relevant Teacher's Book.Each self-contained lesson is easily teachable off the page. Each level provides approximately 80 hours of core teaching material, which can be extended to 120 hours using the photocopiable resource material and extra ideas in the Teacher's Book (60 hours extendable to 90 for the Starter level). 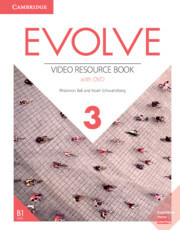 The Student's Books come with a free CD-ROM/Audio CD offering extra practice activities, video, recording capability, customisable tests and more. With vocabulary selection informed by the Cambridge International Corpus and the Cambridge Learner Corpus, students can be confident that the language they learn is up-to-date, relevant and natural. A 'Language Summary' at the back of each Student's Book offers students support with new vocabulary, grammar and functional language. New face2face Classware offers an updated form of Whiteboard Software now even more user-friendly and accessible to teachers without access to whiteboard hardware. Features a systematic focus on spoken accuracy, as well as fluency, which gives students lots of opportunities to practise new language in both free and controlled contexts. 'Real World' lessons give students the practical language they need for day-to-day life. At Advanced level, these lessons also develop students' listening, speaking, reading and writing skills, helping them become more spontaneous, natural communicators. Innovative 'Help with' sections help learners to appreciate how English works. 'Help with Sounds', new at Starter level, enables students to improve their pronunciation by focusing on individual sounds.